Important: Since this is a special event, please keep in mind that all InterNations members (Albatross, Basis and guests) will be charged an additional 5EUR at the entrance which goes to the club. This additional fee is included in the entrance fee listed on the top of this page. 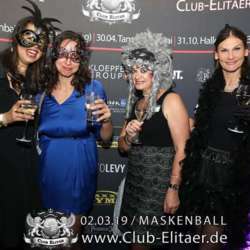 This year we are teaming up with Club Elitär for a a night to remember the "Venezianischer Maskenball" and we hope you will join us. 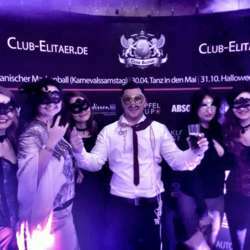 Club Elitär will be transformed into the fantastic world of the 18th century and presents a feast of the senses, illusion and reality. On this evening full of splendor you will slip into the role of a Venetian nobleman or an unapproachable beauty. Experience an unforgettable evening in the style of the Venetian Mask Festival. Think costumes, decorations, chatting with like minded international people, live music and DJs, fantastic drinks and a party that will last until the early hours. What awesome mask will you wear? WE look forward to seeing what you choose. 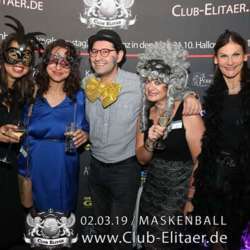 The "Venezianischer Maskenball" event will start at 21:00, when you are welcome to join us for a drink and a chat with fellow InterNations members in our designated exclusive area for InterNations members but you are also more than welcome to check out the rest of the party too. We will welcome you at the door from 21:00 till midnight. At the entrance, please come to the InterNations registration desk. We are looking forward to celebrating with you! See you there!